The quality of this boot is remarkable. The genuine welt construction, leather sole, and soft kidskin linings are second to none. 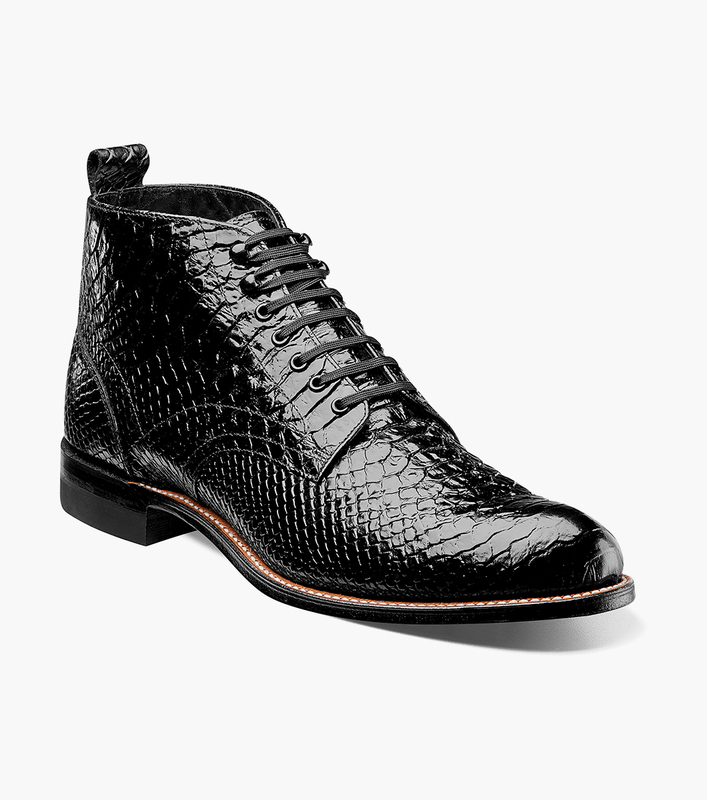 But it’s the head-turning anaconda print leather upper that makes the Stacy Adams Madison Plain Toe Boot a rare breed of boot.